In your brief sojourn, your eyes divagate towards the roof; and a thousand others stare back, unbridled hatred at their core. Description: The first thing that comes to mind upon sighting Alayne is her height. She's a slender creature, spindly of limbs and long-fingered when it comes to the spinnerets for digits upon each hand. What could've once been a robust physique long perished beneath long periods of starvation and improper eating, as well as the many trials and tribulations of the open road when in pursue of her trade, amongst peasants and commonfolk. Her face, depending on whom one may ask, seems possessed by a modicum of finesse, and ethereal perspectives. An upturned, thin nose; a pair of crusty, dried lips fused to the same skin tone of her ghostly pale hue, and one could easily assume that once there was comeliness to be found in her. The road, however; the nature of her craft, and many sleepless nights had saddled her eyes with black bags beneath them, her demeanor with an inherent disassociation to those around her, and her every motion vestigial, nostalgic. Personality: Time, trial and fallout have turned Alayne into a creature of stygian pragmatism and disinhibition for the plight of others. A pattern of isolated, private behavior sticks to her every notion, and cynicism grips every word with which she speaks publicly, and openly. There's a sense of untapped pride, however, that seems to be the foundation behind her every word when speaking matters of medicine. She's a judgemental, cynical and flawed woman, hard to make friends and even harder at keeping them. She's quick to channel spite when witness to the mundane and more-so to those who profess expertise and come up short when time of action comes. There's a certain depth to her tone of voice, yet remains modulated in nature and silvery to the ear. Background: Alayne's history, since childhood, was laced and tied to calamity that was no public secret. Her father, a famed alchemist under the hire of a now diseased vassal of Redrain, practiced his trade openly in the red ward of its fealty. A particularly treacherous night called for the explosion of his laboratory, a combination of fire; of nameless concoctions with terrifying, gaseous nature spelling the doom of him, his Lord and his family name. Alayne was cast aside as one of the few surviving elders of her already shattered family. The youngest were taken in as wards of the surrounding houses- pages, squires, or stableboys. 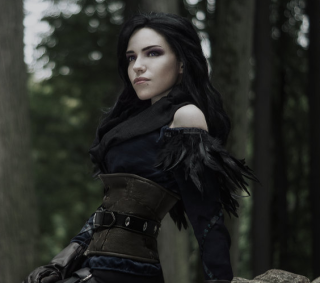 The relatively older Alayne, however, shed her name and took to the only thing she knew; mixing potions and working her father's trade as yet another nameless figure in patchy browns amongst the many, chasing battlefields and death to ply medicine and healing. As an omen of strife to surely come, it is no secret why the woman has returned to Arx.